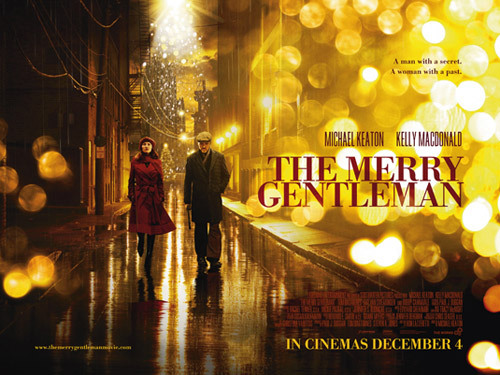 Longtime Cinema Romantico readers may recall my zealous affection for Michael Keaton's directorial debut "The Merry Gentleman." I did not merely name it my #1 film of 2009 nor did I merely name Kelly Macdonald's turn as my #1 performance of 2009 - no, I went so far as to make a spectacularly idiotic and unsuccessful attempt to get her an Oscar nomination. Anyway, because so much of the film is set at Christmas and because I just watched it again recently and was struck by it once again (like I always am) and because I fancy myself a champion of this film who must, in a sense, go tell its wonders on the mountain, I am going to go tell its wonders on my blog all this week (three posts, really, up through Thursday). Won't you join me? And then go see this movie? Please?